Essential Oils for Hair and Skin! The Benefits of Lemon includes cleansing. Lemon consists of 68 percent d-limonene, and may support a healthy circulatory system*. It has cleansing and purifying properties so don't forget to add it to your green cleaning products or homemade cleaning products! Lemon oil benefits skin and hair; and may reduce the appearance of blemishes if added to moisturizer. Add it your shampoo to promote cleaning or add to conditioner to support healthy hair and bring on the shine! Love all the citrus oils? I do! Then try Citrus Fresh blend that contains lemon, grapefruit, orange and spearmint! This section will also provide you with some fun suggestions, safety precautions for you and your pet! As I receive new tips and testimonials for Lemon Oil they will be added to the page, so check back frequently! Want to Purchase Therapeutic Lemon Oil? 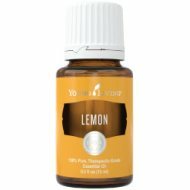 Purchase Lemon Essential Oil Here. 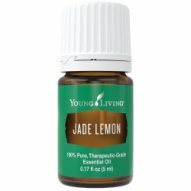 Or Purchase Jade Lemon Oil Here! Where did the name come from? We believe that lemons were native to Asia. The Romans called the lemon "median apple". What Part of the Plant is Used? The rind. Did you know that the Romans used the lemon rind to ward off insects and freshen clothes? Also, the lemon and its oil were symbolized by the Roman goddess of youth, Juventas. What are the Documented Uses and Benefits of Lemon? Supports healthy circulatory system when used in combination with massage*. Detoxifier and cleanser. May support the reduction of blemishes. Supports healthy hair and skin. Cleaning and purifying home, surfaces and air. What is the Aromatic Affect on the Mind? It is very uplifting to the body and mind. Very light and improves focus. What is the Spiritual Influence? Because it is cleansing to the mind and spirit, it will release patterning and open the heart centers. The result is joy and hopefulness with clear thought. What Chakra is Affected? Opens the throat and heart centers. Interested in Dietary Lemon for Your Culinary Adventures or Dietary Supplement? 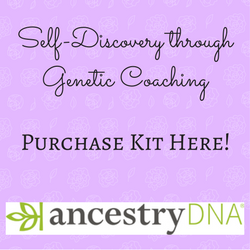 Then check out Lemon Vitality Essential Oil! Or Jade Vitality Oil! Note about Animal Use: Certain oils can be very toxic to cats especially oils that are not of therapeutic quality! Citrus and pine products and oils in particular. Please consult your vet if you are not sure about applying any essential oil to your pet. What are the Safety Precautions? First, only use therapeutic grade essential oils! Lemon essential oil is Generally Regarded As Safe (GRAS). However, this oil is very photo sensitive. Do not expose the skin to direct sunlight for 24-78 hours after application. May cause skin irritation, therefore, it is recommended that lemon oil be diluted. Did you know that you need 3,000 lemons to make 1 kilo or oil? I hadn’t cleaned the dry erase board in a long time. And the longer it stays on there, the harder it is to get off. The spray that came with the board didn’t work. But, the Lemon Essential Oil took it right off and it smells great! Who would have guessed that the benefits of lemon extended to my white board!